"There is always something to do. There are hungry people to feed, naked people to clothe, sick people to comfort and make well. And while I don't expect you to save the world I do think it's not asking too much for you to love those with whom you sleep, share the happiness of those whom you call friend, engage those among you who are visionary and remove from your life those who offer you depression, despair and disrespect." Please contact me via email for details on the work. Thanks. The wood pieces are all a part of a new series called No Man Can Degrade. It comes from a quote by Frederick Douglass that says, The soul that is within, no man can degrade. I began the series sometime ago, when I received a grant from the Puffin Foundation. I used a different name for the series at the time, but the premise is still the same. The pieces are inspired by social, spiritual and philosophical issues. They stem from my passion for giving everyone their just due, for allowing each man or woman to have an opportunity to give their take and receive respect in return. Often time the downtrodden, the elderly and the sick are overlooked because of their demise, but I truly feel that their voices need to be heard, and that their stories need to be told. These works are created using my own original photography. I also use acrylic paint, wood and other objects to bring the them to life. 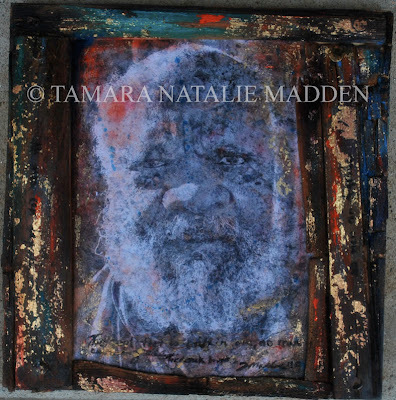 My goal, through these works, is to bring a voice to the unheard and allow the invisible to be seen. This will be an ongoing series so please keep an eye out for all that there is to come. Please contact me via email for more details on the work. 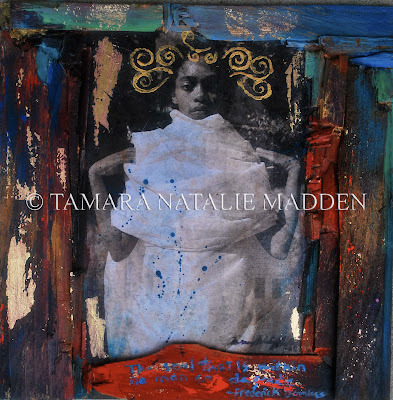 View more presentations from tamara madden. Recently, I had the pleasure of going to support a friend of mine at her exhibition. I enjoy Nicole's work because it's raw and passionate, yet peaceful. Her recent works feature large wood sculptures, that are reminiscent of trees and plants. 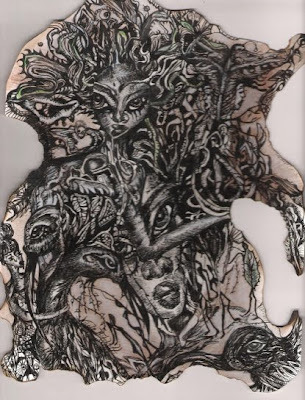 Her works seem to connect with, and incorporate elements of earthly fantasies. The muted colors make the works very easy to view, even though some of her complex artistic techniques might leave viewers anxious to know how it was executed. My favorites are her ink drawings; I love the details and intricacy in those works. 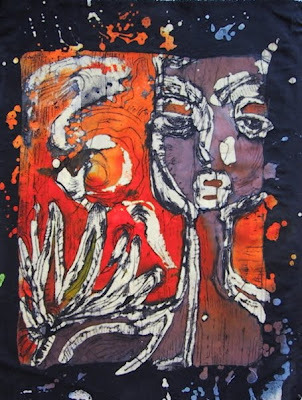 I also really love her batiks because the colours are so vibrant and the images so profound. I'm glad to know Nicole and glad that she is consistently creating. You can find more about her and her work here. I've been blogging and sharing my photography on a site called The Pangeas Garden Project. I was asked to participate by my friend Vincent Christie. The site focuses on natural women. You can find more info here and here and you can see all of my posts and photography by linking here. I am Vincent Christie, the creator of this blog and the latest entries were not from me. 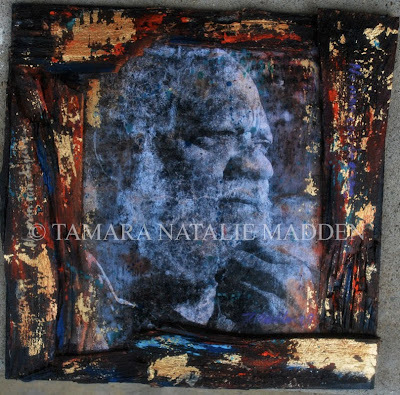 They were the works and words of Artist and Photographer Tamara Natalie Madden. And she joins the Project as a regular contributor to the Garden. A Jamaican native, I've known Tamara since she moved to Atlanta five years ago. The young creative has lived through some challenges. 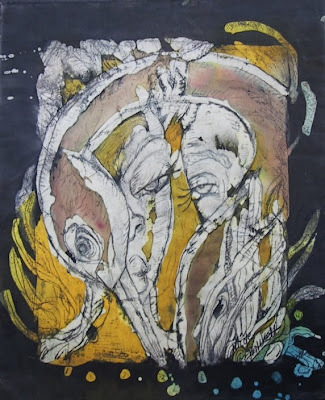 Diagnosed in 1997 with a life threatening genetic kidney disease called IGA Nephropathy, her art became her lifeline. But as her health deteriorated she decided to take trip home to Jamaica where she discovered she had a long lost brother who donated to her a kidney and saved her life. Tamara says that her illness was very challenging but it also gave her the fire she needed to push forward. 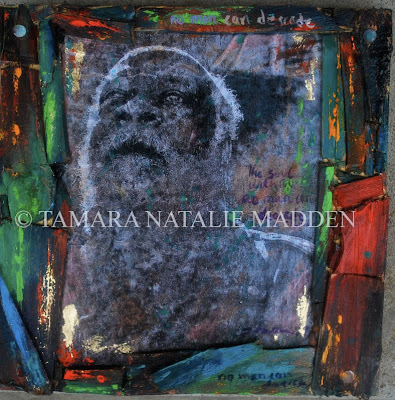 Tamara also says, "My challenge has been to create art that is significant to me and to also create work that is of quality. I believe that I was given this gift to inspire and empower people and I know that ultimately my talents can be used for the greater good. Everyday I think about what I can do to take my work to a greater level." 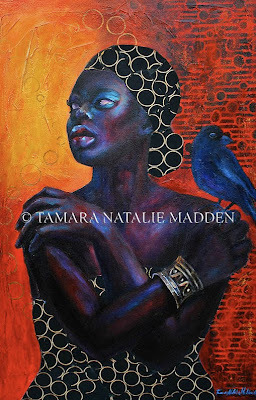 Tamara is an extraordinary visionary with much to share. I look forward to her forthcoming posts to the Garden. You can find some of her paintings here and on her website; you can find her photography here. The captures made of her, here, are the work of Maurice Evans. Yet another interview. This recent interview was with Jamaicans.com. I was honoured to be interviewed for their site. This was the same site that I found my wonderful brother on nine years ago. Obviously meeting him saved my life, so in a way they had something to do with that. Please take a look at the interview below or feel free to visit their site here. You'll be able to find other wonderful articles about Jamaican people, food, life, etc. or just catch up with the goings on of the Yardies! 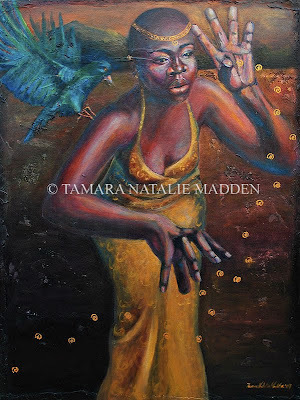 This month we interview Jamaican painter, Tamara Natalie Madden. Her paintings are exciting, vivid and rich in color. She also tells us the story how Jamaicans.com helped her find a lost relative. I began painting when I was a teenager, however, I've been drawing most of my life. When did you know your were good at this and wanted to make it a career? I knew that I had talent early on, however, I never thought that art would be my career. I only realized that after I became ill with kidney failure and ended up on dialysis. It was during that experience that I found art again and made a promise to myself that I would pursue art after I became well. My amazing brother(who I found on Jamaicans.com) offered me a kidney and I received a transplant in 2001. Soon after, I was able to do my first exhibition, and I haven't stopped since then. Did you do any formal schooling? I've never been taught formally. I've only taken classes in high school and summer school. I learned more about the process in my later years through the help of my mentors. My daughter would say that she is my #1 fan and supporter, however my best friend and godmother have always supported me. They saw my talent and stood by my side when I decided to pursue art. There were so many other people who believed in me. The list would be too long. I had always felt a connection to everyday folk, the working class, the unseen and unheard, the true warriors of our time. My childhood experience with poverty dictated that I care. I realized, however, that many people, who may have suffered through a similar struggle, did not want to revisit those struggles so I decided to turn my ideas inside out. Inspired, by the golden period of Gustav Klimt and images of royalty from Egypt and West Africa; I decided to turn regular folk into kings and queens. It seemed to be the only way to allow them to be represented and appreciated for who they were intrinsically; kings, queens and warriors who never had a chance to shine, their ragged clothes and despondent appearance setting the tone for others to judge them. Most of your subjects are women. Is there are reason for this? There are no real reasons why I paint women, because I paint men, as well. I suppose there may be an unconscious reason that I'm unaware of. I do believe that a lot of women need to be uplifted and empowered and my hope is that my work will be able to do that. 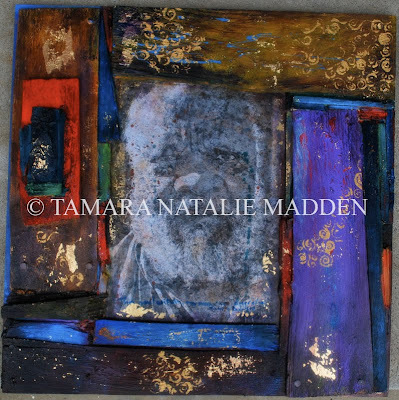 I was very inspired by Gustav Klimt when I began the new series, but there are so many artists that I find inspiring. I've found that I can find inspiration in any art. Which artists would you like to meet? I wouldn't mind meeting Kara Walker. 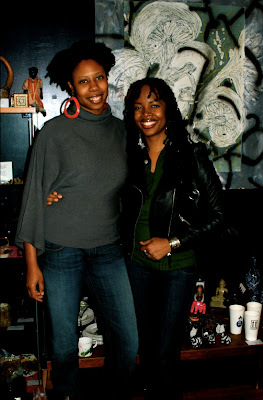 She's an exceptionally successful black female artist. I'd like to find out about the steps that she took to get where she is today. I'm sure that academia had a lot to do with it, but it would be nice to pick her brain. How do you get ready to paint? Do you have a special ritual? I have no ritual, I simply need inspiration. My studio is in my home so all I have to do is walk a few feet and begin painting. It's a wonderful way to work. What is your idea of art that is visually pleasing to the eyes? I think that different people are drawn to different things, some like colour an some don't. As long as the individual feels something positive when they look at the piece, then I think that it's pleasing them visually. How many paintings do you average in a year? Quite a few. I'm very prolific. On average, I produce about 5 paintings a month so I do a lot during the year. There are times when I take breaks, because I need time to reflect and think so that I can be inspired. Do you have an unfinished painted stacked away that is going to be come a master piece? Yes, but I'm not sure if they will be a masterpieces. What is your favorite work you have painted so far? 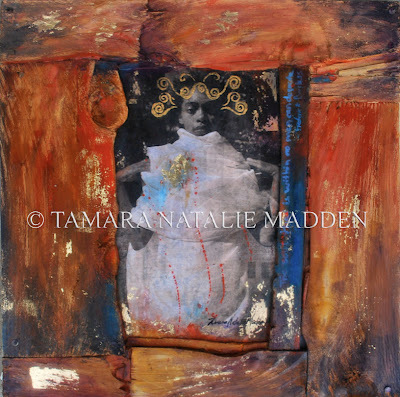 I'm not sure that I have a favourite, per se, but I was moved by the first piece in my current series, Unmasked. It was an important transitional piece. What new projects are you working on? Is there an upcoming exhibit? Currently, I'm working on a new mixed media series that incorporates my photography. I'm still working on my ongoing King & Queen series. Currently, I'm participating in Art off the Main. I have no upcoming shows planned because I'm taking this time to work. I participated in a lot of shows this year and I need to produce new work. What is playing on your ipod/mp3 right now? My musical selection is broad. I love Laura Izabor's new cd and of course, "mi favourite dj Buju!" I have Jah Cure and Adele and so many other wonderful artists on my i-pod. There are too many to name. If you were not an artist what would you be? I'd still be doing something creative. I really enjoy writing so I may have done that. I've also been a teacher before and that would have been another good option. When we contact you about the interview you mentioned you found your brother through Jamaicans.com. Can you tell us that story? I have four brothers. The other three were living in Canada, but there was one that I hadn't known, and he was living in Jamaica. Before I headed home in 2000; I had an immensely strong feeling that I had to find that brother. He was my father's son, and I hadn't seen him since we were six, and that was very brief. I never really knew him, I just knew of him. My only intention was to meet him because I wasn't sure when I would be able to go home again. I didn't realize at the time that God was talking to me. The feeling came over me so strong that I started calling family members to see if they knew his name or where he was living in Jamaica. I called around and no one was able to help me except for my grandmother. She was not his grandmother because we have different mothers, but she was familiar with everyone who lived in the area. She remembered his mother's name and at the time there was an option on the site to locate numbers in a phone book of some kind in Jamaica. I put her name in and her phone number popped up. Eventually, I got in touch with her and she got me in contact with my brother who was living in Mandeville at the time. It was shocking for both of us when we met. I was very ill, but I never went to Jamaica looking for anything except him, and he offered to save my life. It was because of the grace of God that my life was spared and I'm thankful to him for blessing my wonderful brother with such a kind heart. I love him dearly. Thanks to Jamaicans.com for providing the opportunity for me the find him!! Thanks for the interview and final thoughts? I'm the little girl who grew up in Manchester, climbing ackee and orange trees. I loved my childhood and even then I believed in the possibilities. My hope is that other little children can grow up to see that they can do what they love and live their dream. Please look for my work in the December edition of Upscale Magazine.